Kathleen Theresa “Kay” (Gosselin) McCarthy, age 93, passed away at Mont Marie Rehabilitation & Health Care Center in Holyoke from natural causes on Sunday, March 24, 2019. She was born January 23, 1926 to the late John D. and Katherine (Moran) Gosselin and was a lifelong resident of Holyoke. 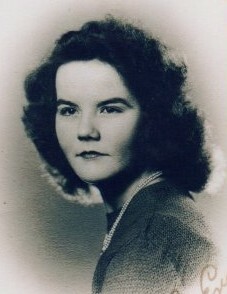 Kathleen graduated from Sacred Heart High School in 1944, and worked for General Electric during World War II, where she helped many young men, including her brother, get a job upon returning from the war. She later worked for the Holyoke School System for 40 years, retiring at the age of 86. Kathleen loved her job at Holyoke High School and made many new friendships that she cherished. She was a communicant of Blessed Sacrament Church for 62 years. Kathleen was preceded in death by her ex-husband, James (Mac) McCarthy; her son, Brian J. McCarthy; her brother, Joseph Gosselin and her sister, Grace Serino. She is survived by her children: David McCarthy (Paula), Jonathan McCarthy (Maureen), and Mary Kate Bathelt (Christopher). Her grandchildren include: Christopher McCarthy, Megan McCarthy, Jamie McCarthy, Kelly McCarthy, Katherine Strickland, Bridget Bathelt, Jacqueline Mitchell, and Anna Bathelt. Kathleen also leaves her three great grandchildren: Elizabeth Scagel. Lucas Mitchell, and Paxton Strickland and several nieces and nephews. A Funeral Mass will be held on Friday March 29 at 11:00 a.m. in Blessed Sacrament Church, 1945 Northampton Street. Burial will be private. Calling hours will be held prior at the Barry J. Farrell Funeral Home, 2049 Northampton Street, from 9:00am to 10:30am. Donations may be made in Kathleen’s memory to Jericho/Bureau for Exceptional Children & Adults, 537 Northampton Street, P.O. Box 1039, Holyoke, MA 01041. Kathleen’s family would like to thank the staff at Mont Marie for taking such good care of Kathleen, as well as the team at Holyoke VNA Hospice for their support. Bless you all.